“Why is this night different from all other nights?” Passover Haggadah. You won’t see this in any other nation. 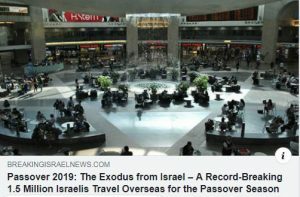 Paradoxically, during the Passover holiday, which celebrates the exodus of Jews from Egypt and entrance into the land of Israel, there are a record-breaking 1.5 million Israelis doing just the opposite—exiting Israel and flying abroad—a number 11% higher than one year earlier in 2018. Why are so many Israelis choosing to leave their country for the holiday season? Many say that Israelis themselves have made it cheaper to holiday abroad than to stay in Israel. But why would we do that? Why would we let such a situation materialize where we make it more expensive to go on vacation in Israel than to scatter elsewhere for the holidays? Don’t get me wrong, it’s perfectly fine to take a vacation. But when nearly a fifth of a country’s population leaves during a holiday that marks the entrance of its people into its land, it’s bound to raise eyebrows. Cheaper overseas holiday costs aside, what can be clearly stated about today’s Israel is that it is very different to the nation that once exited Egypt to enter the land of Israel. It is not a nation bonded by a common will to unite above its divisions in order to realize its spiritual potential. On the contrary, today’s Israel looks more like a loose collection of individuals each out for earthly satisfaction. This also explains Israel’s significant “brain drain” problem, where hordes of Israeli scientists, academics and intellectuals choose to leave Israel and live abroad: When material gain is the guiding star of our lives, then offer us more money, honor or power somewhere else and we’re on the next plane out of here. Without any inclination to unite, and with our sights set no higher than on individual gratification, there is nothing ultimately tying us to our homeland. What is the big deal then? Is there any reason why Jews should stay in Israel? Call it destiny. Here in the land of Israel, we are meant to reveal what our ancestors once revealed: the light of unity. We are fated for our role, which is to unite (“love your neighbor as yourself”) and to spread that unity to the world (to be “a light unto nations”). Fulfilling our ultimate spiritual potential is the single reason for us to remain in the land of Israel. Embedded in our genetic makeup, stemming from our ancestral heritage, is a tiny desire for uniting above all the surface materialistic desires. This is the point we must awaken in each other while we are here. Moreover, when we discover the immense joy and happiness available in the attainment of the light of unity, our need to look for greener pastures will disappear. Kabbalists describe the intensity of such spiritual pleasure to be like the size of the universe compared to the size of a grain of sand found in material pleasures. After feeling such perfection in unification, the desire for other fulfillments will wane and we will also feel less of a need to travel in pursuit of pleasure. After the 1.5 million Israelis return from their overseas holidays this Passover season, I’d recommend that they each ask themselves “What did we gain from this holiday?” And to the expected answer, “We had a great time!” probe deeper with the question from the Passover Haggadah itself, “Why is this night different from all other nights?” In other words, did anything really change in our lives? Also, what’s next? Are we just going to continue to bounce from one pleasure from the next, one fun holiday after another until we die? Or, can we start advancing toward a much more qualitative pleasure, one that doesn’t fade but which constantly grows—the eternal, spiritual pleasure discovered by the people of Israel when we entered the land of Israel long ago? We have everything we need right here at home. We have each other. We just need to learn how to correctly connect, and we’ll discover the ability to travel far beyond anywhere in our entire world—to an eternal world of harmony and perfection. Wishing you all a Happy Passover! Question: What is the new year for a Kabbalist? Answer: A new year is a new venture. “Year” in Hebrew is “Shana,” from the word “Leshanen” (repetition). The repetition of the four seasons that change by one revolution of the Earth around the Sun and other calendar cycles are based on the ten Sefirot of the spiritual Partzuf and their division. For example, the 4 stages of the Partzuf multiplied by 3 lines equals 12. Therefore, a year is divided into 12 months, a day into 12 hours of daytime (the light of Hassadim) and 12 hours of night (the light of Hochma). The division into 6 parts of ZA (Zeir Anpin) multiplied by 10 equals 60. Therefore, there are 60 seconds in a minute and 60 minutes in an hour. In addition, there is a leap year in which there are 13 months. There is a special year, the 7th, and another special year, the 50th. Everything is built on the correspondence between the phases of the Sun, the Moon, the Earth, and their mutual changes. A calendar is a schedule of our life. Measuring only by the Sun or by the Moon does not reflect all the features of our existence, its framework, and does not clearly graph our life. Therefore, while the Christian calendar is built on the solar cycle and the Muslim calendar on the lunar cycle, the Jewish calendar is based on the Sun, Moon, and the Earth’s rotation. Three types of calendars correspond to the three lines: left, right, and middle. The left line is the Christian calendar, the right line is Muslim, and the middle line is the Jewish calendar, which includes the Sun, Moon, and Earth. Therefore, the Jewish calendar is the most accurate. It was calculated thousands of years ago in ancient Babylon and then tested and confirmed 2,200 years ago by Rabbi Yehuda Ha-Nasi. It hasn’t changed since then. That is, Jewish holidays never move to the summer or the winter like they wander with the Muslims. There are also no problems with the years, like with Christians. In the Jewish calendar, the middle line is maintained, which is always stable. Thus, everything happens according to the division into ten Sefirot: Keter, Hochma, Bina, Zeir Anpin, and Malchut. This is the way the correspondence between the planets is arranged in nature, and it works. The symbols of the holiday of Purim are concealment, the custom of dressing up into party costumes, and wearing masks. Where does this custom of wearing masks on Purim come from? The main character of Purim is Queen Esther, meaning the kingdom (Malchut), the system that controls the entire universe. This kingdom is called “Esther,” meaning concealment. In fact, in our time, we see that everything is in concealment. We do not know who controls us, we are unaware that there is a program in nature controlling our lives. We are in a field where some upper force, manifested in the form of many different forces, in the form of vast network controlling the entire world, rules. Science is only now starting to gradually discover that everything in nature is interconnected and that the world is a closed, integral system with global connections. We see only a small part of reality. Also, we are not talking about some unknown dark energy in the universe, but about a reality that is completely hidden from us that we cannot even imagine. Our entire world is a complete concealment. The inanimate, vegetative, and animate nature is controlled by instincts, and it thus asks no questions. Yet, a person must understand what he is living for. If he does not find an answer to this question, he feels very limited, disappointed in life, and does not know what to do with himself. His animal body continues its normal life, gives birth to offspring, but a person feels miserable. A person feels that there is a certain concealment, a system, Malchut, that controls us in a concealed way, as if the great Queen Esther. Esther does not appear as a woman, but as an entire kingdom that controls us so that we do not understand where we are going and what we are doing. The people of Israel faced the state of Purim many times over the course of history, that is, they were under threat of destruction. This threat comes in order to awaken us, to remind us of our role so that we do not continue living like all the other 127 nations that Megillat Esther talks about. We must reveal Esther, we must bring this concealment to revelation. All other nations with whom we live act in order to awaken us to this mission. It is impossible to awaken the people, their egoistic desire, through good, and make them think about spiritual life. Jews try to forget about their mission. They delve into corporeal values, striving for achievements in science, culture, and especially for money and power. The great egoistic desire, Haman, makes preparations to kill everybody, both Mordecai and King Ahasuerus, in order to rule the entire kingdom by himself. This enormous egoism cannot enter into any cooperation with other forces but seeks full control over everybody. Therefore, in our time, Haman is revealed everywhere: in religions, beliefs, and also in governments if they declare that they alone should rule the world. But Megillat Esther tells us that by the order of the king, Haman gets hanged on the tree that was prepared for the Mordecai’s execution, and the city of Shushan celebrates its freedom. Thus, we come to the fact that there is no more evil in the world because we destroyed and cancelled it. The evil Haman is hiding within every person and within all nations because it is the egoistic desire to control others. If we can get out of this evil, move away from it, then we will get closer to the revelation of good, to the upper system that controls us. Without evil, it is impossible to reveal good or even come close to it. Evil exists precisely in order for us to feel the need for good, to guide us to goodness. We see that without connection with truth, with the spiritual root, special dates in our world turn into children’s holidays. Tu Bishvat is also limited to planting trees in a garden or city. Which of course is wonderful in itself, but it is far from its true meaning. Tu Bishvat, the new year of trees, is a very serious date, which according to its spiritual root means the beginning of man. It is written “Man is the tree of the field.” Therefore, it is correct to plant trees on this day, but it is also necessary to take care of educating a man in order to grow “a fruit bearing tree” out of him. This means raising a person who is similar to the Creator. It is interesting that all the work we perform in the care of trees must also be performed on a person. Otherwise, one’s tree will not bear fruits, or they will be bitter, not fit for human food. We need to perform 39 types of work to care for the growth of a person’s soul, as if growing a tree. This is not just a tree in the field, but a fruit-bearing tree growing in the Garden of Eden because it produces our soul: corrected desires to receive and to bestow that are joined together in one fruit. This is possible through education, environment, and habitat, without which a tree does not grow to be good and fruit-bearing. Therefore a person is compared to a tree in the field. This is not just any field, but the field that is blessed by the Creator. The Creator blesses this field according to the efforts invested into tending to the tree, according to the investment in the environment. We do not interfere with the inside of the tree, but influence it from the outside. Thanks to the external care, it begins to produce beautiful, sweet fruits. All this depends on the environment, on the group, on the ten. We must try to build such an environment that will become the field blessed by the Creator. The relationship between friends should be such that each one can confidently grow in the correct, good form, connect together, and bear one common fruit—an apple from the Garden of Eden, the corrected soul. Some holidays were originally set through an awakening from above and others were set by people through an awakening from below. Hanukkah is a special holiday that is not mentioned in the Torah. It comes entirely from the awakening from below, from the degree of Bina, from the created beings wishing to achieve bestowal, the state of smallness, GE, stopping along the way (Chanu-ko) before continuing further. After acquiring the bestowing desires of GE (Galgalta ve Eynaim), we move to the purpose of creation, to the desires of AHP. This holiday is called spiritual because it relates to the bestowing desires of GE, to the degree of Bina, unlike Purim where we use the receiving desires, and therefore, the customs are completely opposite. Purim relates to the end of correction and it is called a corporeal holiday because the spiritual descends to the corporeal world, correcting and fulfilling the desires of the AHP. 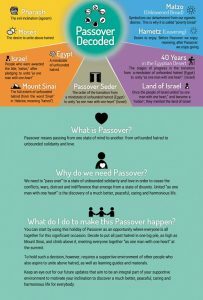 Hanukkah is closer to us than Purim, and so it is more understandable. We can imagine what it is to be in bestowal, above our desire, opposite to it, acting above it. Therefore, it is worthwhile to study the customs of Hanukkah in order to try to approach the closest spiritual degree. All spiritual degrees are based on this condition because each of them begins with GE, the state of smallness, which is the main one, and the state of greatness is just an addition that comes and goes. 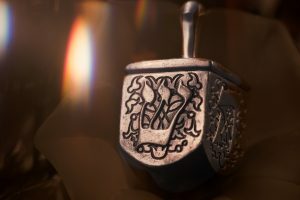 The events related to the holiday of Hanukkah are told in an allegorical language, but our difficulty is that instead of a spiritual state, we imagine a corporeal one. Actually, it is about inner actions and phenomena in which only the desire and the Light, the Creator and the created being, participate, nothing else. If we want to know what is happening inside such a state, then the Light comes and begins to correct the desire, elevating it to the degree of Bina. Malchut rises to Bina, that is, to the degree of Hanukkah. Malchut must rise to Keter, but it makes a stop in Bina along the way. In our corporeal life we also celebrate such a state because there was a group that began to develop in spirituality who formed from representatives of various nations living in ancient Babylon, and they called themselves Israel. In their inner, spiritual development, they experienced such states and told about them in the words of the corporeal world. Now we are studying this in both a corporeal and spiritual form. They established a calendar according to which we celebrate these special events, and called them external traditions, which include lighting candles and cooking food in oil. The most important thing are the disturbances and the work on them. It is impossible to advance without disturbances. The disturbances and our reaction to them are the only thing that advances us toward the purpose of creation. Then we understand that these are not disturbances, but “help against.” Advancement is possible only through additional egoism, the desire to enjoy, due to which we fall, stop understanding and feeling, cannot move, and only want to sleep. The word “Hanukkah,” from Hebrew “Hanu-Koh,” or “stop here,” represents the first stage of spiritual development, a process of correcting the desire to enjoy for oneself and inverting it into a desire to bestowal unto others, a state that liberates us from darkness. Hanukkah is not just another week in the Jewish calendar. It can be used as a respite dedicated to personal enlightenment, one week set aside for life transformation. The holiday of Hanukkah signifies the victory of light over darkness, unity over division. Indeed, such a victory requires no less than a miracle, but it is one within grasp. We need only know how to light the candle and make it happen. Through our connection, we strike a match against the darkness and ignite the light in our lives. This is the brilliance of Hanukkah, the holiday of light. As with a match, a little friction transforms into a gleaming flame. Of all the holidays, Hanukkah and Purim are considered special for many reasons. First, the Torah makes no mention of them. Second, after the full completion of humanity’s corrections, it is said that all the holidays will be canceled except for these two. According to the wisdom of Kabbalah, Hanukkah and Purim are of utmost importance because both are directly connected to the rebuilding of the Temple, which symbolizes the place where Creator and creation bond. The Temple’s ruin represents a breaking of this bond between us. Rebuilding that bond means attaining all the abundance and goodness in our existence. This is the Kabbalists’ quest. Like a thirsty man trying to draw water with a leaky bucket, who must first fix the vessel before he can fill it and drink, one who feels detached from spirituality must first mend the bond with the Creator before being able to receive the offered illumination. The holidays and Sabbath in our world were determined by Kabbalists to provide a framework of behaviors in accordance with our work in the inner spiritual world. That is the reason we celebrate the holidays each year and the Sabbath each week. The word Hanukkah, from Hebrew “Hanu-Koh,” or “stop here,” represents the first stage of spiritual development, a process of correcting the desire to enjoy for oneself and inverting it into a desire to bestowal unto others, a state that liberates us from darkness. Darkness manifests as separation, conflicts, arguments, ruthless competitiveness, and the desire to exploit and dominate others. Our inner struggle to overcome our egoistic nature is what we call “the War of the Maccabees against the Greeks,” i.e. “Greeks” symbolizing characteristics that yearn for control over us. The victory over the Greeks is the foundation of any person’s path on the spiritual ladder. This triumph lets us perform corrections that will lead to the final correction—Purim—when we attain the endless bounty that the Creator prepared for all. When we can rejoice in each other’s successes, share our concerns, in mutual connection, we will realize what nature tries to teach us: that we belong to one single body. If we take just the tiniest step in this direction, we will see miracles on the way. We will see how a small lamp, the smallest jar of oil, will kindle a strong and warm fire that illuminates everyone’s life. What Is the Miracle of Hanukkah? Overcoming our ego—the desire to enjoy at others’ expense—requires rising above our nature, and this is considered a miracle. Instinctively, our ego governs our existence, even though the outcome causes a boomerang effect that brings us suffering. How then does this miracle happen? Every time we connect with each other, the force that is higher than all other forces, obstacles and conditions, is drawn into action and the miracles manifest before our eyes. Although a miracle is a supernatural phenomenon, we are able to make it happen whenever we choose closer connection above all kinds of resistance. Today, if we wish to rise above our ego and try to connect positively with others, a completely new upper force will be revealed within us, and with its help, we will be able to bring peace, love and unity to the world. Let us spin ourselves together around this exalted goal to ignite the spirit of unity, enlighten our lives, and radiate joy and fulfillment to everyone. Happy Holiday Of Spiritual Conception! The deeper we delve into explaining the holiday of Hanukkah, the more we are convinced that it contains the entire path, all events, and all states that one who wishes to reveal the spiritual world, the upper force, goes through. It becomes revealed precisely against the transient, imperfect states that come to us in times of great calamities and wars, the realization of human egoistic nature. Discernments, discernments, discernments… through all the states that we are destined to undergo. No one treading this path can circumvent or skip any discernment or obstacle; one has to go through them one after another. No one will receive more or less work than the others—each person might have his own accents and measures, but in reality, every one of us goes through every step on this path. Not only are we all parts of one body, but through the breaking we have also become included in one another and every person is inside everyone. Once, before the breaking, the reciprocal penetration was there only among the bestowing desires. However, after Adam HaRishon’s downfall of sin, the receiving and bestowing desires intermixed with each other, along with the upper Light that had filled them at the time of the breakage. As a result, every state includes all the others, and only becomes discerned through the lack of correction. Therefore, every person has to go through all of the states. The quality of bestowal, Bina, must become revealed during Hanukkah. It explains all of our characters to us, our path, the person’s exit from revealing this world to revealing the upper world that shows him what he must separate from and become free of, what he must distance himself from and what he must come closer to, cleave to, connect to, and in what forms. This is all contained in the holiday of Hanukkah, in the corrections that we have to go through. We could call it “the holiday of spiritual conception and nursing,” that is, a small state for now. Yet it’s already a spiritual state: Even though a person still can’t use them practically, he is already gaining the understanding and forces that belong to the upper, spiritual world. He enters the degree of Bina, and that is the entrance to the Garden of Eden! Starting from this stage and on, he builds himself in equivalence with the Creator. Before the holiday of Hanukkah, he was only correcting himself in order to rise above his egoism, to become free from it, and separate from it. By reading articles about Hanukkah, we strive to check, discern, and understand the conditions that allow us to acquire the quality of bestowal, Bina. Question: A miracle happened on Hanukkah when a candle that could only burn for a day kept burning for eight days. What is a candle, a wick, and oil from a Kabbalistic perspective? Answer: A candle is a barrel with oil and a wick floating inside it. Thanks to the wick, we can light the oil that rises up the wick and burns. Separately the oil and the wick will not burn, but when the oil enters the wick, the candle lights up. The Maccabees found the barrel of oil because they tried to reach the quality of love and bestowal, the connection between them, and they were able to light it because they had great resistance to those segments of the population that bowed to the Greek idols and built Greek temples in Jerusalem. The war of the Maccabees was internal, within themselves, not an external one with the Greeks or the Hellenists inside of Israel. When they overcame their egoistic resistance, they transformed their resentment between them into the wick inside the oil and were able to light it. Therefore, the barrel of oil with a wick embodies specifically the person’s spiritual work. It means nothing to simply find a keg—the main thing is to be able to light it. When the Maccabees, by overcoming the resistance of their egos, united, the barrel was found that they were able to put the wick into and light. In other words, they transformed their egoism and it began to be illuminated by the upper Light, and their souls lit up, illuminated by the Light. This is the miracle of Hanukkah. Question: Why did the candle burn for eight days instead of one? Answer: It is because, if you work for the purpose of love and bestowal, you ascend higher. There are eight Sefirot from Malchut to Bina, eight parts of desires. Even though there is only one Malchut, through resistance, i.e., faith above reason, it illuminates all the Sefirot to the highest one—Bina. The Maccabees were able to rise to the real quality of bestowal, which is called faith above reason. Reason is in Malchut, while faith— in Bina. The rise from Malchut to Bina embodies the miracle of Hanukkah. Why Do We Light Hanukkah Candles?